The University of Iceland will offer two intensive graduate courses in Marine and Fisheries Sciences during spring and summer of 2015. The program is focused on providing graduate students a one of a kind, immersive experience in fisheries ecology, marine resource management and marine conservation within the perspective of climate change. To be elligible, students need to be currently enrolled at a University. Courses and hands-on fieldwork are conducted at various locations in Iceland, to take advantage of the geographical diversity of Iceland and expose students to the rich cultural diversity and local flavor of the many "University Nature Centers" established in fishing villages throughout Iceland. All lectures are conducted in English by professors and researchers at the University of Iceland. Additional lectures are conducted by invited guest speakers internationally recognized for their outstanding achievements in their respective fields. Courses vary in size from 2-8 ECTs and each lasts a period of 1-3 weeks. Each course consists of a mixture of formal lectures, discussion groups, field or laboratory exercises, and computer modeling. In some of the courses, students are expected to complete 1-2 weeks of preparation prior to their arrival in Iceland. In others, students will prepare and participate in panel discussions with scientists, managers, advisors, stakeholders and NGOs to gain insight of how science interacts with politics to create policy. INTRODUCTION TO HYDRODYNAMIC MODELING: (Not Being Run In 2014). 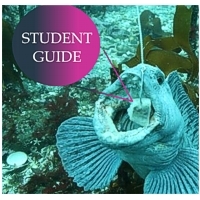 Intensive short summer course providing the student with a practical understanding of the methodologies used in fisheries science. Practical exercises and field work will include hands-on experinece of a multitude of techniques including for example tagging and morphological analysis.